Thinking outside the boundary line of what furniture is, the following designs dance around conventional seating and offer some uncommon couches that aren’t at all predictable. 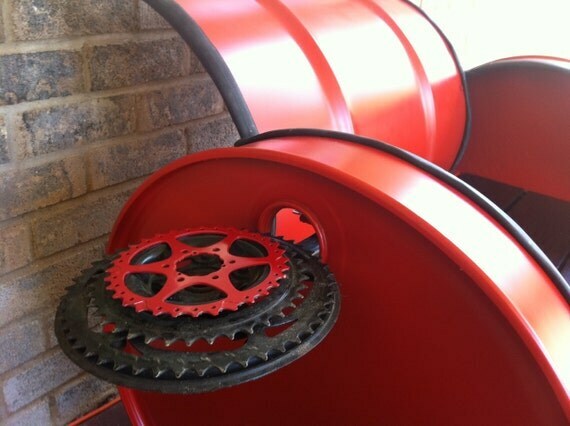 An old metal drum, bicycle parts and other recycled finds turn into a Sweet Seat. From artist Rachel Spire of ReGEARED, these upcycled pieces are industrial works of functional art. 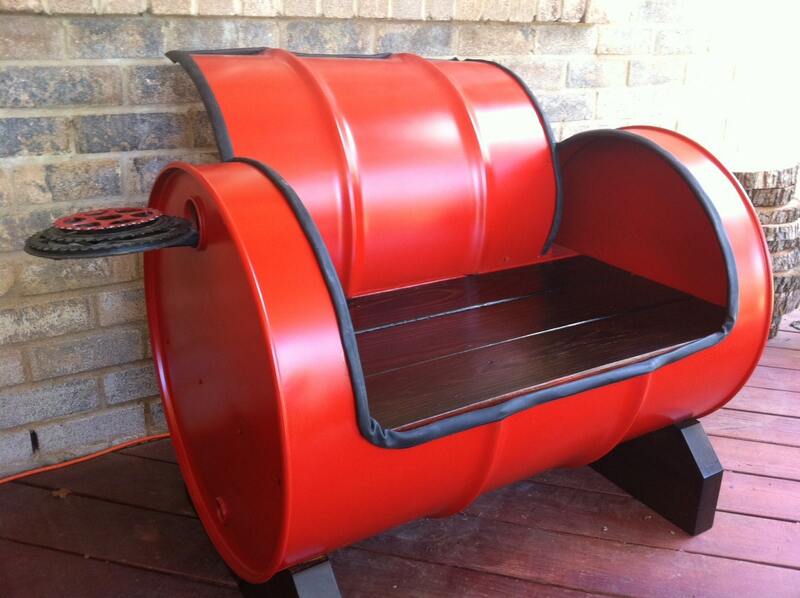 Crafted from 55 gallon drums, they are custom designed, unique benches. The corners and cut metal edges have been sealed over with inner tubes from recycled bicycle tires. Other materials include recycled wood decking and bicycle gears, pedals and chains. Some even come complete with beverage holders. Another use for bike parts is an unusual seating arrangement that may only be loved by bicyclists. Bicycle company Scarabike has come up with a good idea for repurposing seats, but the end piece may be a little questionable with regard to the comfort level. Not much use for phone booths these days. Unless you’re BT Artbox, a public art exhibition for charity that showcased several phone booth redos. A compilation of designers and artists put a new spin on the classic red telephone booth creating this bright Box Lounger. Another idea for resalvaging old, unused items into couches comes from Fridgecouch. Finding inspiration in the junkyard, inventive designer Adrian Johnson noticed the surplus of once sweet rides sitting in rusting garbage piles. Initially seeking project ideas for inexpensive seating for an outside wedding party, the no longer needed backseats from cars came to mind. Framed with out of order refrigerators this design is undeniably cool and functional. Built in tables and shelving add to the utilitarian aspect, but the colorful, high end refinishing takes the prize. Reusing big ticket items like cars and appliances, these refined seats take away from the landfill but give back a stylish place to sit. Upcycling projects are perfect for taking traditional pieces and mixing them with a little out of the ordinary flair.